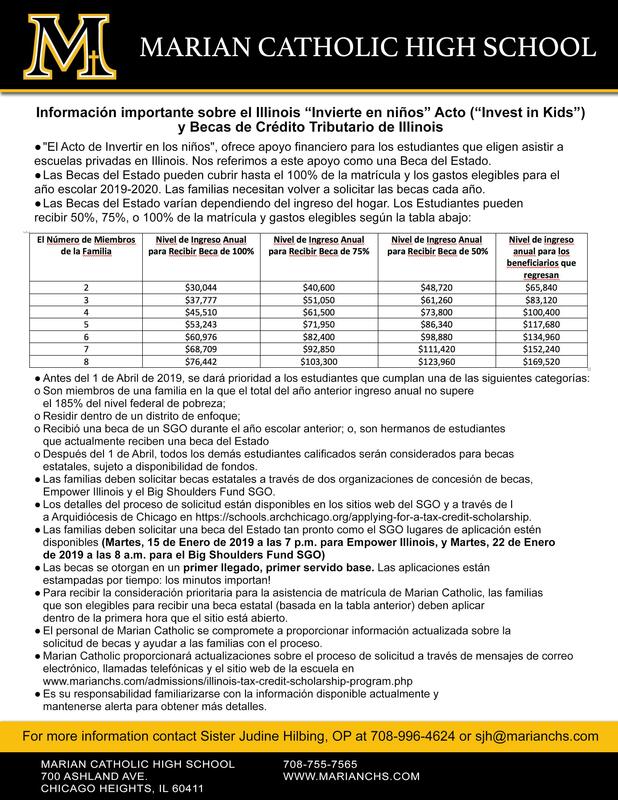 Visit the Illinois Invest in Kids website. Students with limited financial resources and income up to 300% of the federal poverty level are eligible to receive tax credit scholarships. Returning tax credit scholarship recipients can make up to 400% of the federal poverty level. 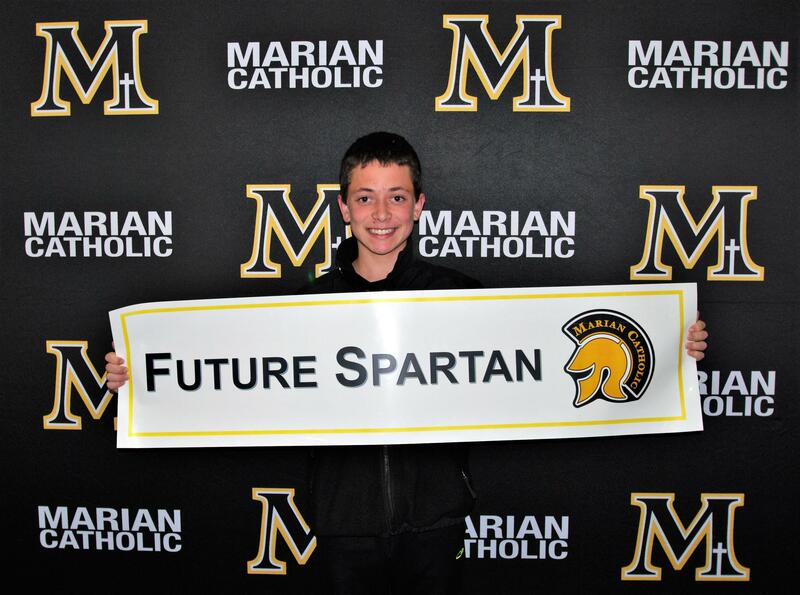 The scholarships offered through the program have the potential to cover 50%, 75%, or 100% of tuition and eligible fees depending on household income. 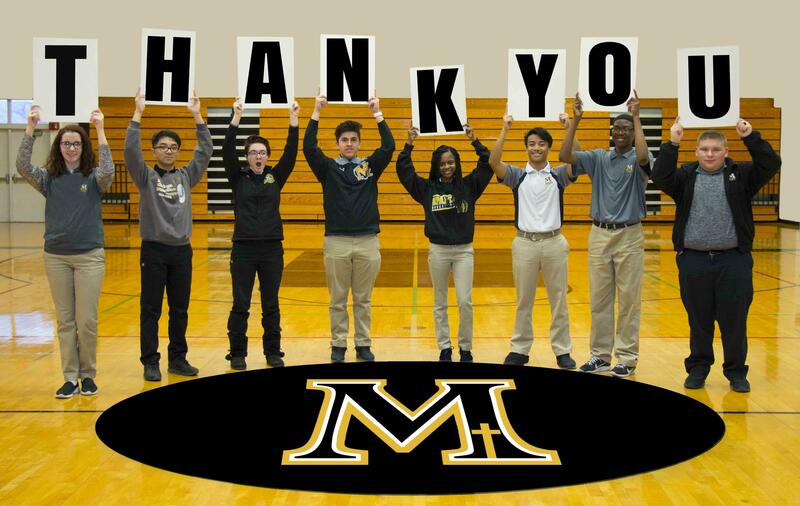 The Archdiocese of Chicago has also compiled a list of Frequently Asked Questions regarding the Tax Credit Scholarships. 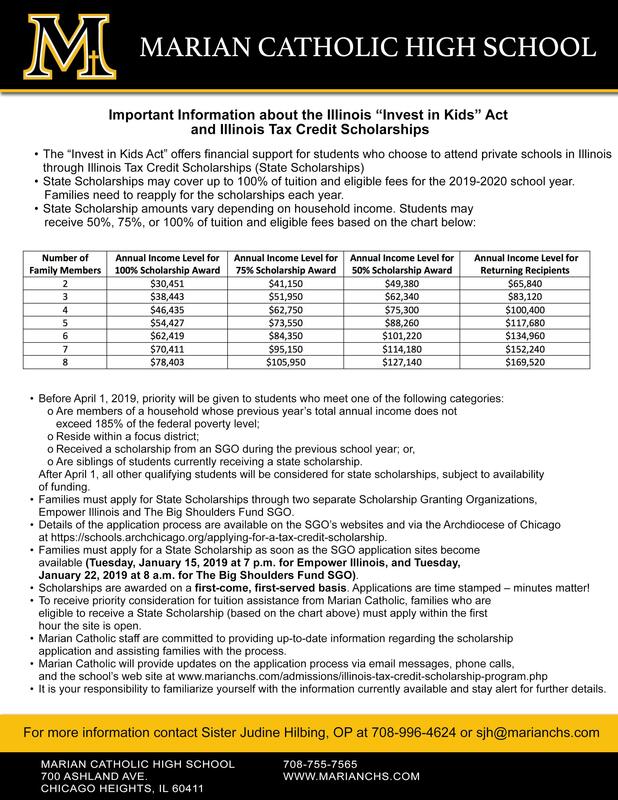 Families are encouraged to apply to both the Empower Illinois and Big Shoulders SGO to increase their scholarship opportunities. After April 1, 2019, all other qualifying students will be considered for scholarships, subject to availability of funds. Note: Families who received a tax credit scholarship for 2018-19, must reapply for 2019-20. *Focus districts are public school districts that have a school where at least one subgroup of students performs in the bottom 10% statewide or a graduation rate of less than 60 percent. See the list of focus districts as determined by the Illinois State Board of Education. Step 1: On Tuesday, January 15, 2019 at 7 p.m., families will complete a brief reservation form on Empower Illinois’ website – EmpowerIllinois.org – that timestamps the reservation. This is a critical step as the timestamp will impact a family’s chances of receiving a scholarship. Step 2: Beginning on or about Friday, January 18, 2019, families must complete the full scholarship application through the Empower Illinois online student portal. They will receive instructions via email about setting up a student portal after the reservation process has been completed. Empower Illinois will begin awarding scholarships on Monday, January 28, 2019. Scholarship awards are subject to the availability of funds for the school of choice. 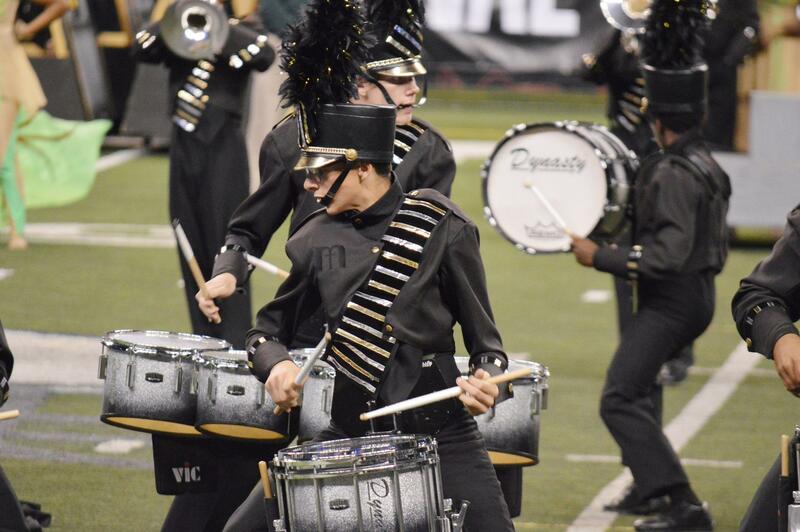 Applications should be submitted before Monday, January 28, to increase the chance of receiving a scholarship. Note: The Empower Illinois application will be available in English, Spanish, and Polish. The Big Shoulders Fund SGO will follow a similar one-step application process as last year. Applications open on Tuesday, January 22 at 8 a.m. Note: The Big Shoulders Fund SGO will be available in English and Spanish. 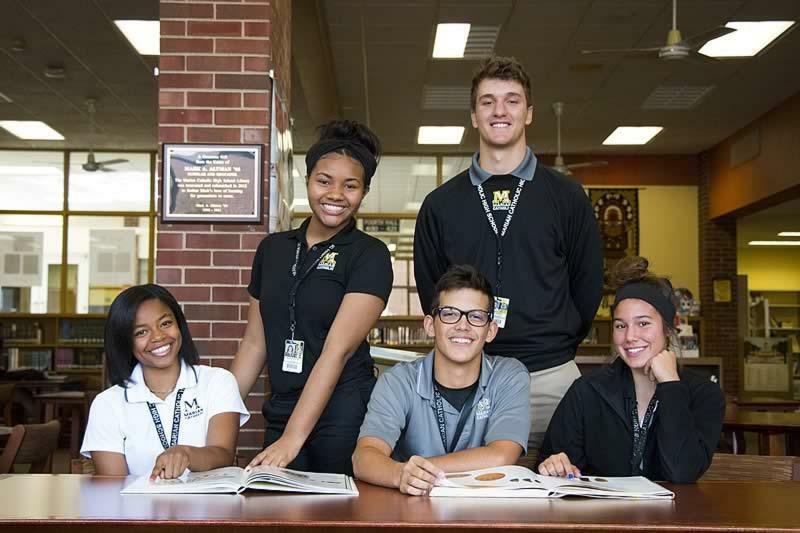 More detailed information about how to apply for a Tax Credit Scholarship can be found on the Archdiocese of Chicago’s Catholic Schools website at https://schools.archchicago.org/applying-for-a-tax-credit-scholarship. 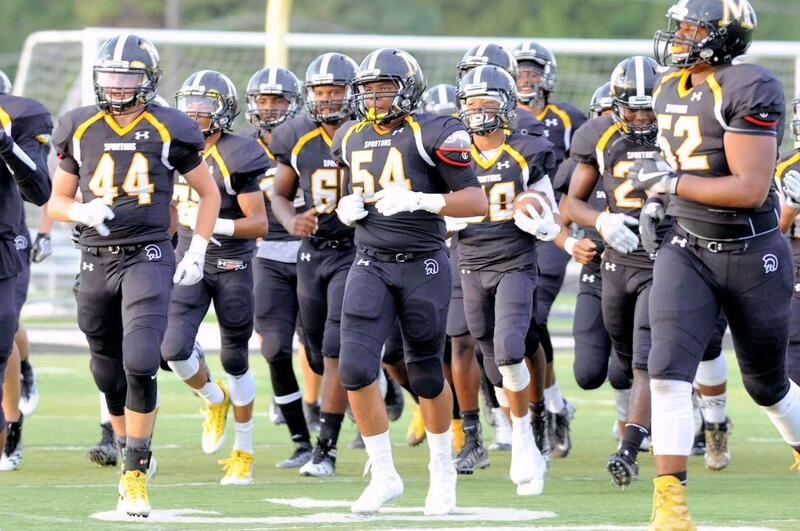 The Illinois Invest in Kids Program has already been a tremendous benefit to Marian Catholic students. 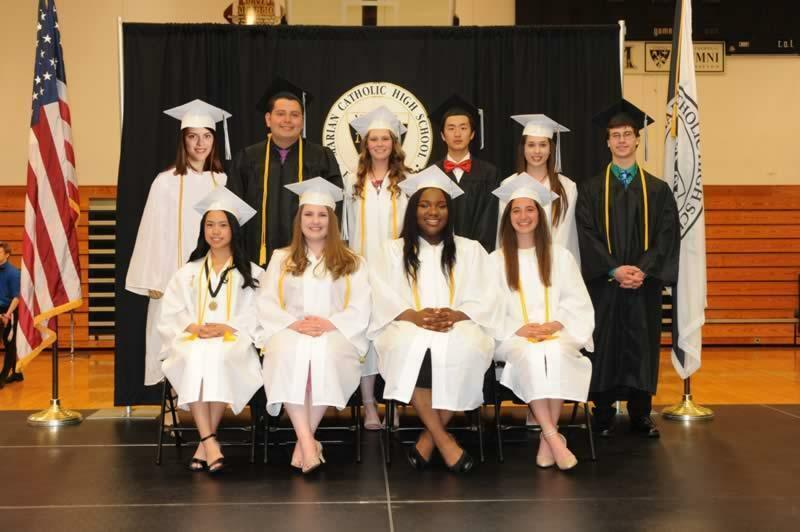 This year, 33 of our students were granted full or partial scholarships totaling over $300,000. 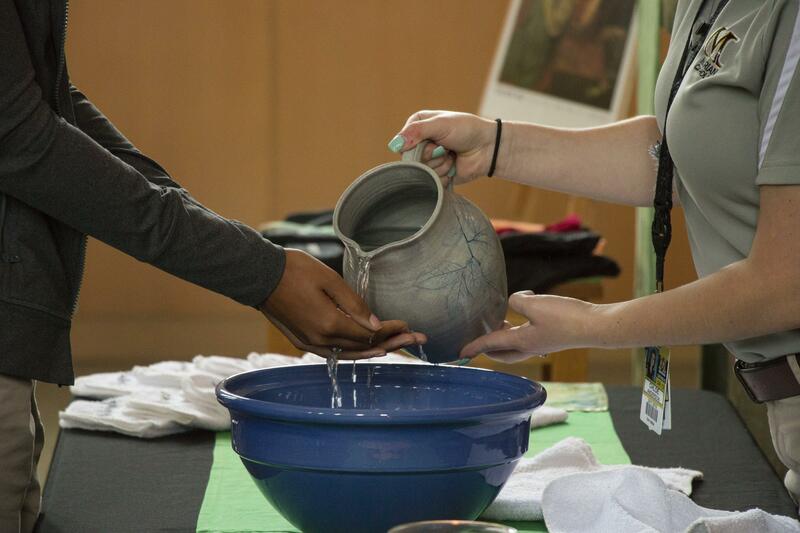 Over 300 eligible students remain on a wait list pending additional funding. We’re working diligently to increase donations to the program to provide additional tuition assistance to more families. 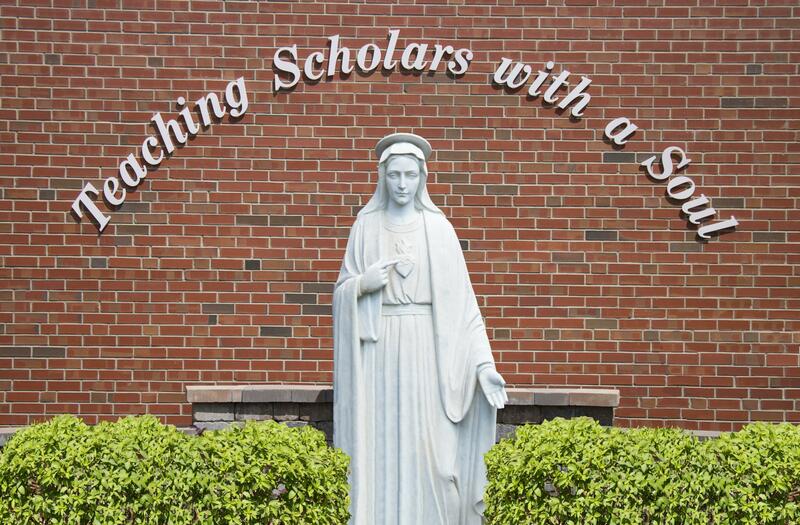 Specific questions regarding the Tax Credit Scholarships can be directed to Sr. Judine Hilbing, OP, Director of Scholarships/Tuition Assistance at 708-996-4624 or sjh@marianchs.com.